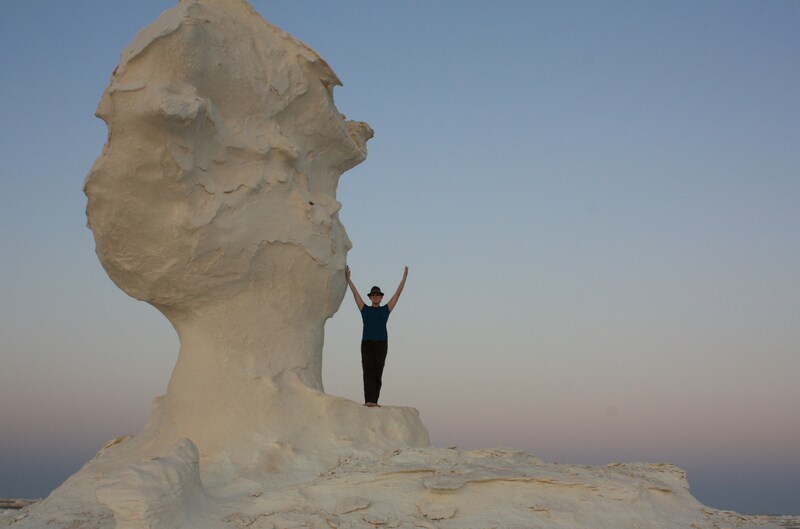 Travel junkie and former tour leader turned Sustainable International Development student. 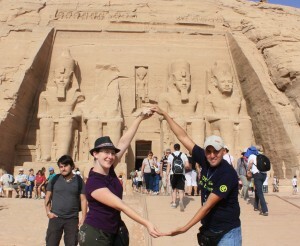 Currently working on linking tourism and sustainable development in Egypt. 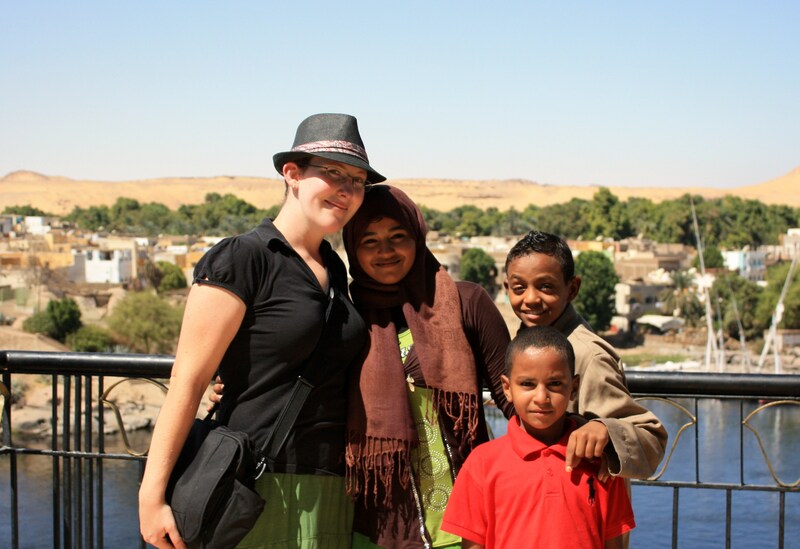 Years after leaving Egypt and largely ceasing to blog, I’m still getting a fair amount of traffic on my post about the visa renewal process–as well as questions about how the process may have changed in the last few years. One reader who used my original post as a guide very kindly offered to update my post to reflect her experience, and she writes that “I believe the steps I had to take are part of the general procedure now, as I have heard from other people that they had the same experiences.” Many thanks to her for this update! 3. A photocopy of your passport photo page. 4. A photocopy of your passport visa page–if it’s not your first renewal, bring copies of your initial visa page and your most recent renewal. 5. A passport-sized photo of yourself. I usually get the photocopies and passport photo done ahead of time at a local place, but if you forget, you can get them done when you get to the Mogamma. Photo and copy center is to the right, past the ridiculously crowded staircase. The passport-sized photo is 30 EGP and the photocopies are cheaper (can’t remember the exact price). You will probably need to use your elbows to maintain your place in line. 1. Arrive at Mogamma, the earlier the better. The building opens at 8AM. I highly recommend making sure there’s nothing major happening in Tahrir before you go. 2. Go through security. If you’re carrying a camera, they’ll ask you to check it at the entrance. 3. If you didn’t get your photocopies and passport photo in advance, do so now. 4. Go up the massive, crowded staircase on your right. 5. Go down the linoleum lined hallway to the right at the top of the stairs. 6. Look for the window for visa renewals (window 12)–it’s near the end of the hallway. They will ask you to fill in the paperwork first and point you to one of the tables in the hallway. 7. Find the table and get your paperwork. It’s an A3-sized paper to fill in. 8. Go back to window 12 and hand everything in. They will write some things on the paperwork and in your passport. You will get a paper that states how many stamps you need to buy. You can buy these at window 6. 9. Find the window (6) that sells stamps. It is not the one across window 12, but go back into the hallway and take the first hallway to the left. The first window 6 that you will encounter is not the right one, you need to be at the second one (blue number 6). 10. Hand in the paper you received at window 12 and the guy will ask you to pay LE 20. He will give you a stamp on the paper you gave him, but note: these are not the stamps you need! Go to the next window on the right and collect your physical stamps. 11. Give your completed paperwork, stamps, passport photo and visa photocopies to the first window(12) where you got your paperwork (you will keep your passport). They will ask you to come back the next day at 9AM (or any other day that you wish to collect your visa, as long as it’s at 9AM). 12. Get the hell out of the building. (For the sake of brevity, I’ve omitted all of the wait-in-line-in-an-overcrowded-unairconditioned-hallway steps, but you should be aware that they’re a big part of the endeavor). 13. Return to the Mogamma the next day, go back through security, back up the stairs and down the hall. Look for window 38, hand in your passport and they will tell you to come back the same day at 1PM. 15. Return to the Mogamma at 1PM and join the massive throng of people waiting for their visas at window 38. 16. When the people behind the counter hold up your paperwork with your photo attached, your visa is ready. Elbow your way to the window to pick up your passport. Note: this can take up to 2 hours! Congratulations! You’ve just renewed your visa for another 3 months! 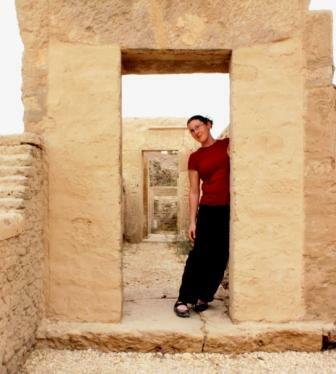 After posting my rather tongue-in-cheek entry about my perilous journey to the Mogamma to renew my Egyptian tourist visa, I noticed that a number of people came to my site wanting more information on how, exactly, to go about renewing your visa if you want to stay longer in Egypt. Here’s my step-by-step guide. EDIT 1/3/2017–A reader who renewed her visa in December of 2016 provided an excellent update to this post–find it here! A photocopy of your passport photo page. A photocopy of your passport visa page–if it’s not your first renewal, bring copies of your initial visa page and your most recent renewal. A passport-sized photo of yourself. I usually get the photocopies and passport photo done ahead of time at a local place, but if you forget, you can get them done when you get to the Mogamma. Photo and copy center is to the right, past the ridiculously crowded staircase. You will probably need to use your elbows to maintain your place in line. Arrive at Mogamma, the earlier the better. The building opens at 9. I highly recommend making sure there’s nothing major happening in Tahrir before you go. Go through security. If you’re carrying a camera, they’ll ask you to check it at the entrance. If you didn’t get your photocopies and passport photo in advance, do so now. Go up the massive, crowded staircase on your right. Go down the linoleum lined hallway to the right at the top of the stairs. Look for the window for visa renewals–it’s near the end of the hallway. Get your paperwork and find a spot to fill it in. Find the window that sells stamps. The person who gave you your paperwork will tell you how much you need to buy in renewal-stamp currency. Give your completed paperwork, stamps, passport photo, passport and visa photocopies, and passport to the first window where you got your paperwork. Get the hell out of the building. (For the sake of brevity, I’ve omitted all of the wait-in-line-in-an-overcrowded-unairconditioned-hallway steps, but you should be aware that they’re a big part of the endeavor). Spend the next 2 hours doing something relaxing, preferably a little ways away for mental space. You’ll need the time to recharge. Return to the Mogamma, go back through security, back up the stairs and down the hall. Join the massive throng of people waiting for their visas. When the people behind the counter hold up your paperwork with your photo attached, your visa is ready. Elbow your way to the window to pick up your passport. This information is accurate at the time of posting. 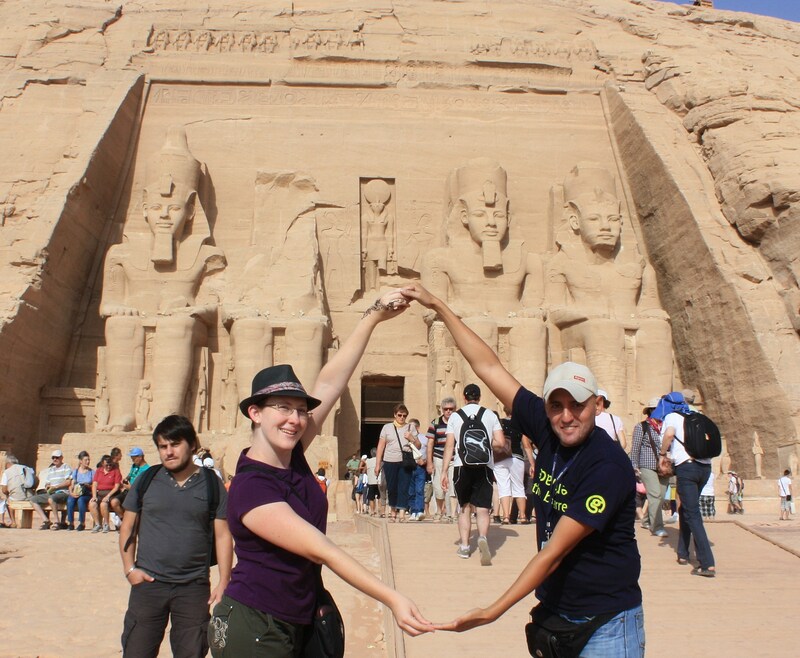 Egypt’s visa laws and procedures have been fluctuating wildly since the revolution started, and every few months there’s a scare within the expat community that visas will no longer be renewed. Several people have reported in the last week that the Mogamma told them that they were on their last 3-month renewal and that they would not be able to renew again. Three months from now, that may or may not still be the case. Check with your friends before you go to renew your visa, just to be on the safe side. Good luck! On this day, one year ago, Egyptians took to the streets to protest the regime of then-President Hosni Mubarak. Following the example of Tunisia, protesters gathered to demand “bread and freedom,” and later escalated their demands to “the People want to bring down the Regime. 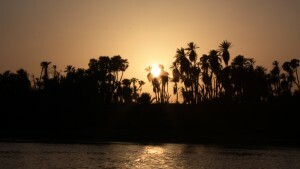 ” The independent paper Al Masry Al Youm reported that it could be “the start of something big. Two and a half weeks later, Mubarak stepped down. People rejoiced–they had brought down the Regime. It’s been an interesting year. A year of hope and disappointment, of protests and violent military crackdowns reported as “clashes.” Of increasing confusion as to what the revolution has accomplished, and whether or not is has continued or concluded or simply fallen into stagnation. A year whose official timeline is incomplete and filled with blood. Today, people are gathering all over the city to remember this last year of revolution, to commemorate all those who died, all those who were detained, blinded, tortured, and sexually assaulted. All roads today now lead to Tahrir, and some reports from Twitter say that the square is already so filled with people that the marchers coming in from all over the city might not even make it into the square itself. Today’s marches and demonstrations, inshallah, will be peaceful. Indeed, I’m fairly sure that they will be, for as long as the daylight lasts. But the worst military crackdowns have always happened after dark, and so I’m waiting to see what happens after sunset, and what happens over the course of the next three days. For real-time updates, I’ll be following the Egypt Live Blog on Al-Jazeera. I recommend that you do the same. The past two days have involved a great and perilous adventure known as Renewing my Visa. Permission to Remain in the Country needed to be Obtained. 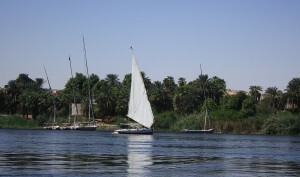 While normally this activity is not problematic in Egypt, since foreigners usually bring needed money, the matter of recent events has made engagements with the bureaucracy less predictable than normal. Rumors were circulating that visa renewals were getting more difficult, with one Egyptian newspaper claiming (in sensationalist manner) that foreigners should just stay away or go home. Nevertheless, I had no plans for leaving, and my visa was expired. 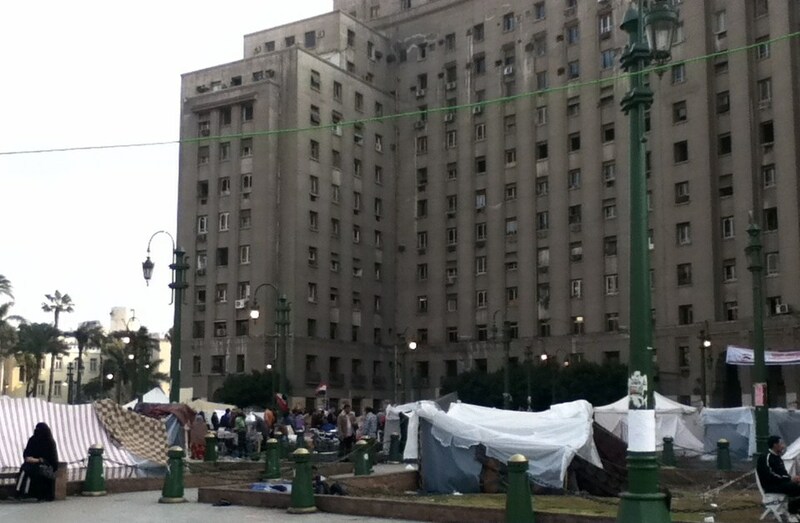 Which meant that I had to brave the journey to Tahrir to visit the dreaded Mogamma–an enormous government office building that is the scourge of everyone who needs more than a 30-day standard tourist stay. 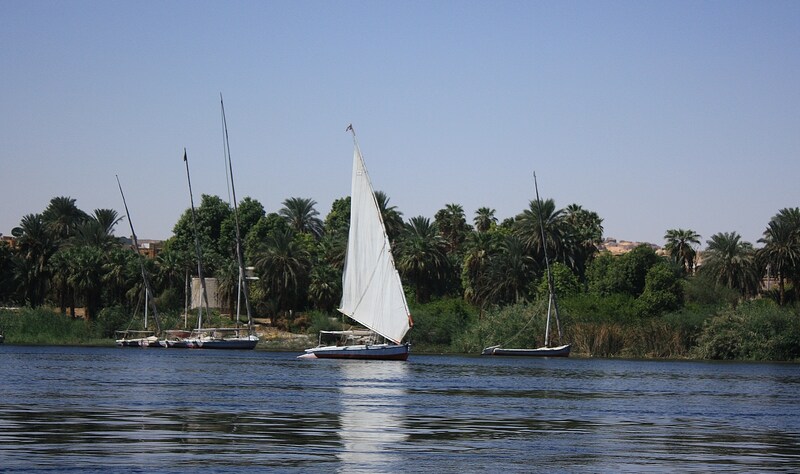 A gift of the Soviet Union in 1952, the Mogamma remains a bastion of Soviet-Era efficiency and charm in the heart of Egypt. I arrived shortly after the 9am opening time on Tuesday, accompanied by my housemates (one of whom also needed her visa renewed–misery requires solidadrity). 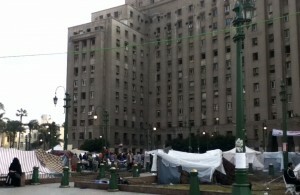 Tahrir was relatively quiet, but closed to automobile traffic and Occupied by a number of makeshift tents. In January and July of this year, revolutionary activities actually blockaded the Mogamma building. Fortunately, the current protests aren’t denying access. 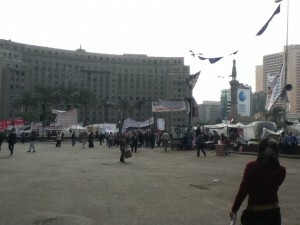 Photos of Tahrir are currently frowned upon. I tried to be discreet. My efforts at discretion were probably unsuccessful. Inside the Mogamma, there was first the fairly painless line to get my passport and visa photocopied. Then there was the first window, to get the paperwork for a re-entry visa, followed by a second window to get the visa extension paperwork. A third window sold me stamps to pay for my visa extension, which I brought back to the second window, which sent me back to the third window because my first set of stamps was insufficient, and back downstairs for another photocopy of my visa page. Back at the second window, I dropped off my passport, extension paperwork, pile of stamps, photocopies, and supplemental passport photo, and was instructed to come back in two hours to window number 38. While this process was annoying, it was actually made better by the fact that there’s a fairly low volume of tourists right now. Last time I renewed my visa, the process was comparable, but complicated at each window by nearly endless queues. At least this time around, the queues were short. Two hours later, after lunch in the khan-el-khalili, we returned to the Mogamma and the fabled Window 38, where a woman held up stacks of papers with passport photos attached. When you recognize your photo/paperstack in the window, your visa is done. In my case, though, because I needed both the extension (now finished) and the re-entry (unable to be processed simultaneously), I had to take my newly-returned passport back to window number one, where I was told that it would be ready the following morning. So. They didn’t fail to renew my visa, or order me out of the country, or otherwise tell me that I couldn’t stay. My foreign self is still welcome. But because bureaucracy is never done, my visa was not actually ready the following morning. It was ready ten minutes past closing time, the following afternoon. I have begun and discarded half a dozen entries since my last post. It’s hard to know what to blog about when the situation is changing by the hour, and after a certain point things become too complicated to explain them in real time. 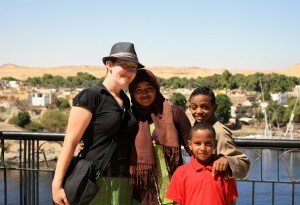 At first, I followed the violence in Tahrir so closely that it became my full-time job. Then I hit a saturation point, in which I literally could not look at one more news article or twitter update without feeling that I might go mad. Ignorance was starting to seem like bliss. I spent almost two days trying to ignore the news as much as possible, meaning that I only checked my news feeds and twitter 2 or 3 times a day, instead of hovering over them constantly. It was American Thanksgiving, and I decided that the holiday meant taking a break from the real world. The real world, however, was impossible to shut out. Even though I wasn’t physically present in the square, Tahrir was the only thing that really existed. I tuned in to find news of a police officer called the “eye-hunter” deliberately blinding protesters and American-made tear gas (plus nerve gas of unknown provenance) being used against protesters in the square. Even the news itself became suspect. One of my favorite news websites, Al Masry Al Youm (to which I refer positively in my post about Egyptian news sources) was taken offline for 48 hours. When the site returned, it was full of state propaganda: “who will protect the people if not SCAF?” So much for freedom of the press. If I’d had any desire to go to the protests myself, it would have been quickly quelled. Not just by the tear/nerve gas, but by the fact that as a foreigner and a woman I could have easily been turned into a pawn or a victim–and possibly both. Three American students were arrested near the square on bogus charges of throwing Molotov cocktails. At the same time, government representatives talked about “infiltrators” and “outside agents” stirring up trouble in Tahrir–as though the government’s own excesses weren’t enough to make people take to the streets on their own. The last thing I wanted was to be held up as one of those “outside agents.” Especially when there were female journalists being arrested and sexually assaulted. An Egyptian friend of mine took part in the protests, and I gave her some money to buy extra gas masks to distribute. It was the only concrete way besides twittering that I felt I was able to contribute to the cause. Things are quieter. The first phase of elections is complete. I went to stay with a friend in Alexandria during the elections, and we were prepared to hunker down under self-imposed house arrest in case of riots. But everything was calm. The day dawned rainy, and I took it as a good sign. Men and women lined up peacefully in separate lines and waited their turn to vote. They even managed to agree to disagree sometimes. There were questions, among those who had been in Tahrir, whether the election as overseen by SCAF was legitimate; whether voting was or was not the next manifestation of the people exercising power as they’d done in Tahrir. A 62% voter turn out rate so far indicates that more people than not decided voting was a good idea. Since the days of voting, we’ve returned to a semblance of calm. Which is not to say that there haven’t been protests. Just that they’ve been smaller, and the police and army haven’t seen fit to attack. Yesterday, protesters wearing eye patches marched to express solidarity with protesters who lost their eyes in the last week. Today, more protesters marched with coffins to symbolically represent those who died. The marches right now are about mourning and acknowledging the sacrifices that people have made to free their country from military rule. Inshallah those sacrifices will not have been in vain.